In today’s world anyone with a little bit of creativity and the right tools can create a video. All you have to do is upload photos, choose music and effects, and there you have it. If you want to create a music video and craft every piece of it yourself, however, have no fear; iMovie is here. I am certain there are similar programs, but this is what I use. He jumped on the idea and before I knew it I had been drafted to create a music video for the services. I love video, I love music, and I love the music videos that my volunteers and employees have created in the past. I, however, had only created one brief music video up until that point, and I barely knew the capabilities of iMovie. Incidentally, by music video I mean a single song accompanied by appropriate pictures and snippets of the lyrics in order to heighten the effectiveness of the song. I dove in and I loved the process, so I thought I would share some pointers and resources here in case you are trying this for the first time. Begin with the music. This is the obvious step, but we can miss it all the same. In my case I imported the song into Garageband and trimmed off the long gradual introduction. We wanted to end the song before the final chorus, so I trimmed that off, too, and then looped a final phrase to make an echo effect as the volume died out. Then I exported the final track. Import the music track into iMovie (or your preferred software). Listen and take notes. Next I listened to the song. A lot. I imagined what emotions were happening between the lines and what circumstances might lead to a particular lyrical image, and then noted what obvious images were stated in the lyrics. Find images. This step will take you the most time. After taking good notes as you listened to the song you should have a general idea of what kinds of pictures you need. Finding just the right photo at the right resolution and for the right price is the challenge. If “free” is your necessary price, here are two sites I found greatly useful (thank you, Frank De Luccio! ): www.morguefile.com and www.sxc.hu. Both of these sites feature free high resolution photos. Warning: be careful as you search for images. You can run into inappropriate images if you are not careful in how you search. Also do not just pull photos off of the web; purchase photos or use clearly free photos. Order the pictures to match the lyrics they represent. Adjust the timings of the photos to transition on the beat of the music. Transitions feel “off” when they are not synced to the beat of the music. Choose the right transition effect. Some effects are more attention getting and time-consuming than others; choose the transition that fits the situation. Usually a simple dissolve is best in the middle of a verse or chorus, while something more dramatic can accent section changes in the song. Fine tune the Ken Burns effect. Ken Burns is known for his use of zooming in on a still picture to create the illusion of movement. iMovie naturally sets this for you, but you may want to adjust the start and stop frames to highlight a particular feature in the photo. Insert lyrical snippets. The final step is pulling key phrases out of the lyrics to actually bring into the video. At some points I pull out a single word. One photo I used was a washed out black and white image of a woman with her head down. As this photo came up the singer talked about the first lie he told, so I had the word “lie” slide in and out of that picture. A following lyric spoke about healing, so the single word “heal” slid in and out of the next photo of two children embracing. iMovie has many different ways of showing words over images; just choose the one that fits your picture and the mood you are trying to convey. Export to DVD. You are not finished until the project has been rendered to an actual DVD for viewing. I made the mistake of missing this the first time I tried using iMovie several years ago. You do not need a college degree to make a music video; all you need is time, and lots of it. Please on spend 5-8 hours per minute of final viewing length. 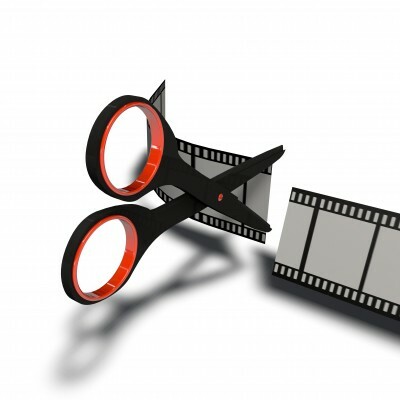 If your final video is 4 minutes long, expect to spend a minimum of 20 hours to get a high quality result. I felt a huge satisfaction when my pastor used the video I created as the culminating point in his message. The video enabled him to say more clearly what he wanted to say, and that was my goal. Have fun with it. Recruit colleagues and friends to research photos for you. Take a chance. You can do it! What video editing tips do you have for newbies? This entry was posted in Creativity, Music, Technology and tagged Animoto, export to DVD, Garageband, how to create a music video, iMovie, morguefile, OneTrueMedia, ptch, Socialcam, stock.xchng, Stupeflix by Maurice F. Overholt. Bookmark the permalink.